Let’s start at the end. 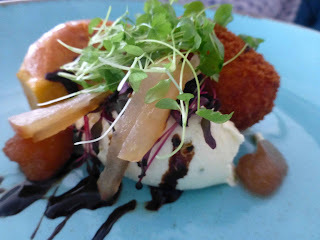 Because the end of the superb meal in Samphire, the new restaurant in Garryvoe Hotel, was rather spectacular. That sweet ending was called Tropics for Two. We shared: Pineapple with white chocolate mousse, coconut, lime and coriander jelly, and passionfruit (16.00 for two). 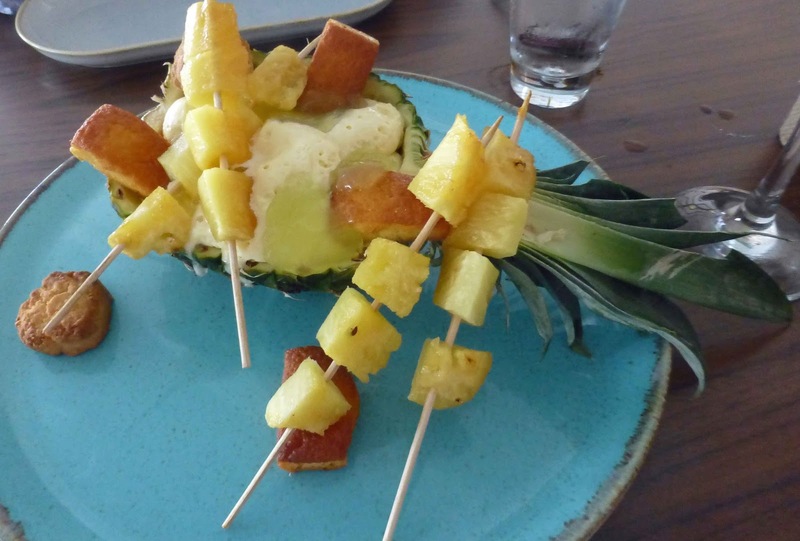 The flesh is removed and cut into in cubes which are then presented on skewers; the shell is then filled with the mousse and topped with the jelly. The coconut is the base for the little “biscuits” that are scattered around. What a delicious combination, meant to be shared! And what of the humble turnip? These rarely appear on Irish menus but the side dish, Confit New Season Turnip, was a delight and this commonly overlooked vegetable, herbed and oiled, emerged as a serious rival to the ubiquitous Butternut Squash. 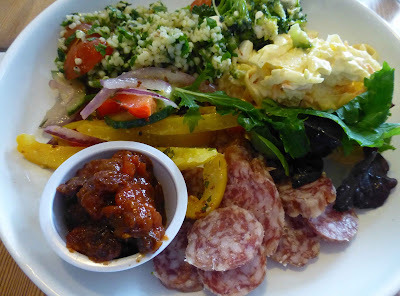 The side dishes are listed on the menu; you get one included with your mains and the others will cost you three euro each. The food is not the only spectacular element at Samphire. There is a stunning view out over the bay. From my table, I could see the island by Ballycotton, the lighthouse and that path up to the lighthouse. It is also a very comfortable place with a lovely bar in the round taking up about a third of the floor. And at this bar, they mix some serious cocktails. 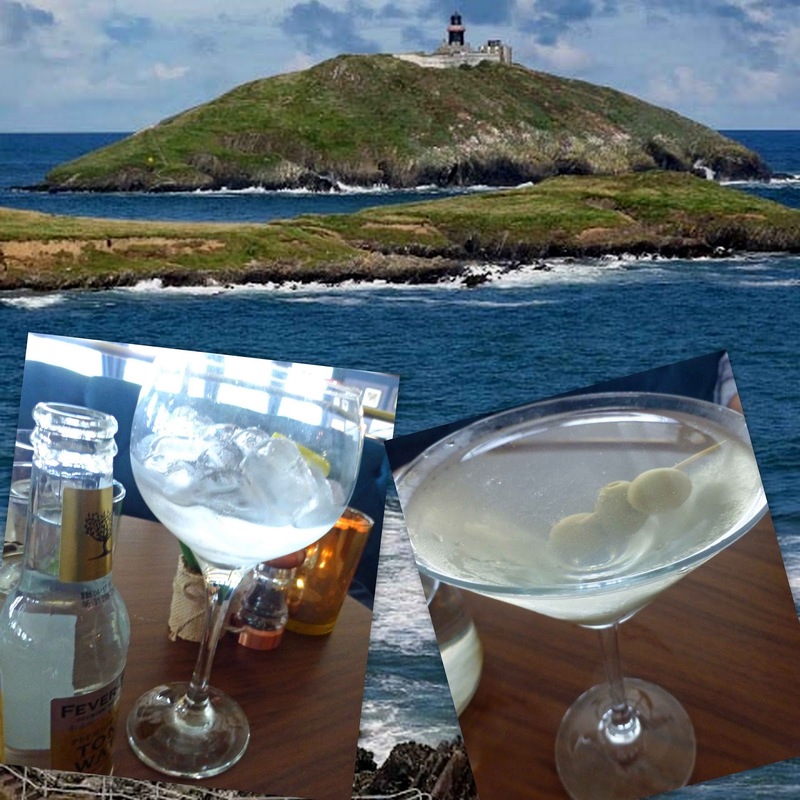 One of ours was the Dirty Martini with Dingle gin as the main base. Gins too are featured, some local, some not local. Buy local is my motto and so I went for the Blackwater No. 5 and the tonic was Fever Tree (they haven’t got Poacher’s, yet). Enjoyed that! You may start with something from their nibbles menu, perhaps Spicy Chorizo al Vino (3.50) or maybe Local Naked Oysters from the Bay at €1.50 each. 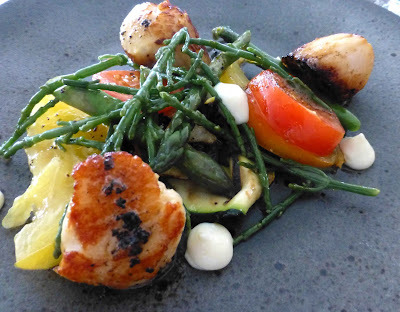 There’s a good choice of starters too including my choice: Seared King Scallops, Heirloom Tomato Salad, Samphire, Wasabi and Courgette (9.50). Great flavors, textures, very happy with that. CL went for the local cheese, in a starter called All About the Goat: Ardsallagh Beignet, Thyme and Honey Mousse, Lime, Apple, Tomato and Ben’s Brioche, another delightful combination. We got a lovely welcome at reception and in the restaurant and the service was nice and friendly with a check every now and then to make sure everything was alright. And it was, all through. The local input continued through the mains. 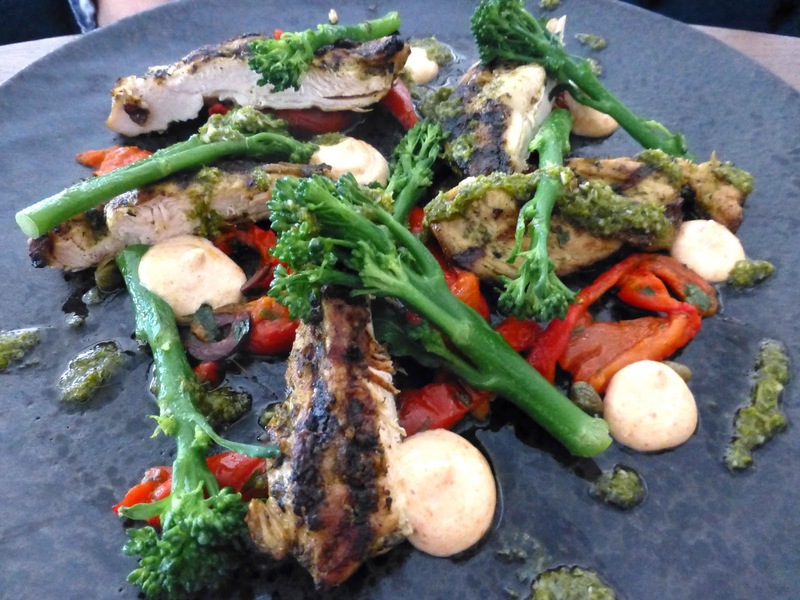 CL picked a beauty: East Ferry Chicken char-grilled with gremolata, peperonata, chilli aioli, tender-stem broccoli (20.00), including a lovely side of cous cous. My turnip came with the Cod from the Pond, served with roasted cauliflower (mini-florets) and a Goan spiced cream (19.00). Both plates went back empty, not a scrap left on either, a vote of confidence! And then it was time for that gorgeous finalé. Not local but we weren't to be denied a touch of the tropics on a rather coolish summer’s evening. Very Highly Recommended Dish in a Very Highly Recommended Restaurant. 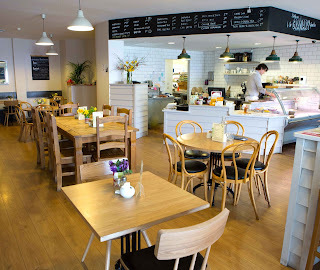 Open from 6.00pm Wed to Sun. Beaujolais Encore. Hail the classy crus. Beaujolais has a borderline continental climate, tempered by the presence of the Massif Central to the west and the Alps to the east. This provides a relatively warm growing season. See Wine-Searcher’s summary (weather and more) of the region here. So they have ideal weather? Not bad, but it’s not plain sailing. Every farmer keeps an eye on the sky, watching what is coming over them there hills. 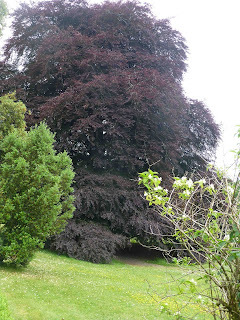 This May and June, it wasn't at all pleasant in Beaujolais. In the north of the area, where the crus are situated, the hail came with a vengeance and, according to Decanter, Beaujolais authorities reported some plots in the appellations of Chiroubles and Fleurie were completely destroyed. More on the hail here. Not easy for the farmers. But they are a resilient lot. I remember, just a few years, visiting a vineyard in Vouvray (Loire) just days after such a devastating hailstorm. The farmer shrugged his shoulders and said that’s nature. 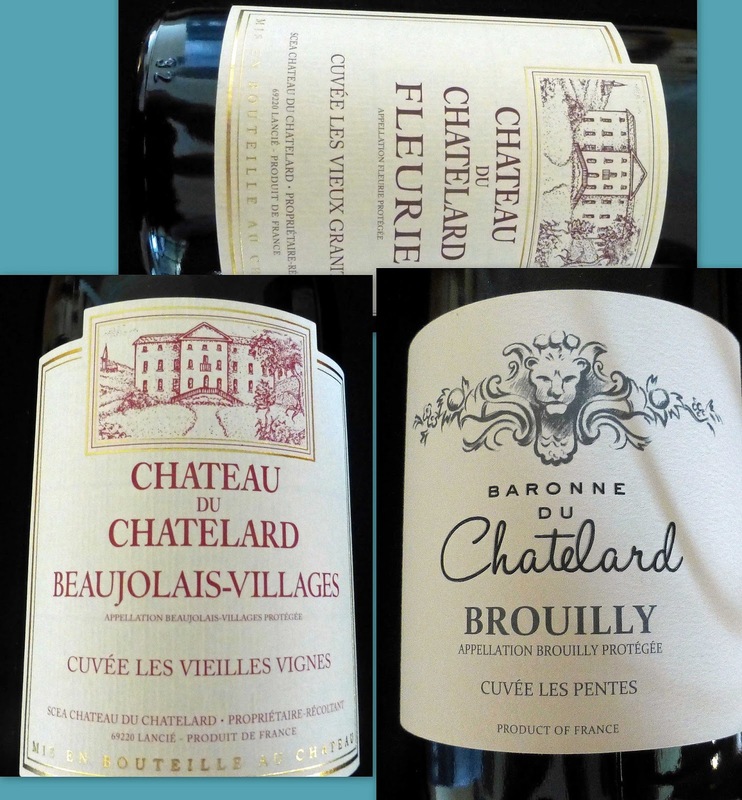 The crus, and we have two below, produce the flagship wines and there are ten of them: Chiroubles, Saint Amour, Fleurie, Régnié, Brouilly, Cote de Brouilly, Juliénas, Chénas, Morgon and Moulin-à-Vent. 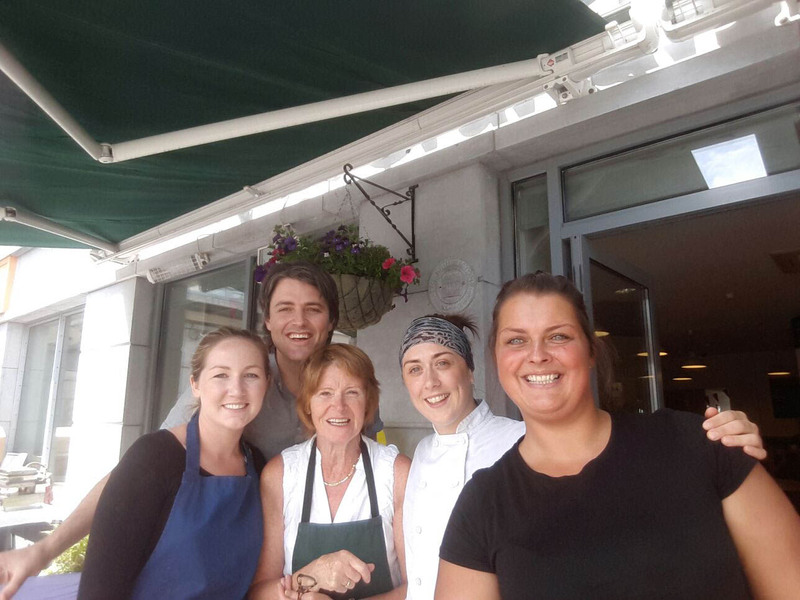 Read all about the May Beaujolais Masterclass in Cork here. Ruby is the colour here and there are aromas of red berries (strawberries, raspberries). On the palate those berry flavours are all in silky harmony. It is juicy too, light and delicious, with typical acidity and Highly Recommended. It is one hundred per cent Gamay, hand-harvested and - the unromantic bit! - aged in concrete vats. The winemakers recommend pairing it with Delicatessen meats, fish terrine, grilled entrecote steak, poultry, Italian dishes, “ideal for all occasions from aperitif to cheese”. 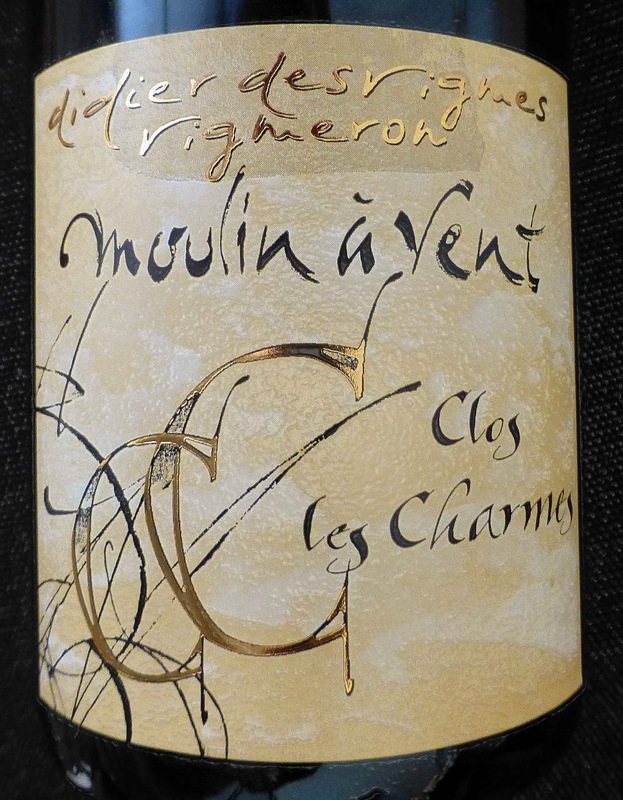 Moulin-à-Vent, with its full bodied and complex wines, is the highest rated of all the Beaujolais Crus. Liam Campbell, at the recent masterclass in Cork, called it “the most regal of all the crus”. A windmill, that was classified as a historical monument in 1930, is the well-known symbol of the Cru. 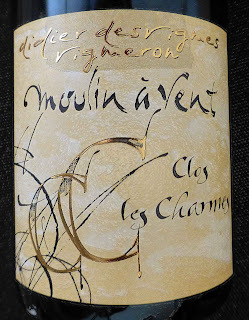 So a great cru and quite a winemaker in Didier Desvignes: “Everything I do both in vine growing and winemaking aims at allowing nature and terroir to express themselves to the full. I choose traditional methods, including tilling between the vines, to guarantee the flavours of the wine.” Still, “convinced that time in the barrel gives additional and new aromatic complexity”, he does use oak, for 10 months in this particular wine. 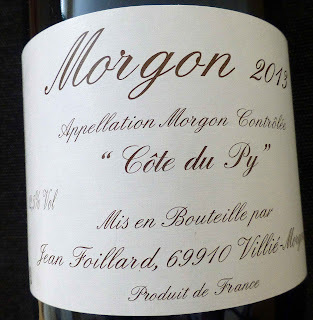 The wines are grown in “a remarkable vineyard” where the soil consists mainly of pink granite which has a natural affinity, it seems, with Gamay and this is 100 percent Gamay. The grapes from each plot are vinified separately to obtain the best possible balance between the structure and finesse given by the terroirs. Colour is a rather deep ruby and the aromas are quite complex, a rich combination of cherries and berries, hints of spice. All combine harmoniously on the palate, amazing flavours and a matching acidity requesting food! Tannins are at play too and then follows a long lasting finish. Enjoy it with small game, stews and mature cheeses, they say. I found it went very well indeed with a Irish Piedmontese steak that I bought in a very popular stall at the recent Cork Summer Show. Very Highly Recommended, both the steak and the wine! This, from the second largest of the crus, was perhaps the standout wine of the Beaujolais masterclass held last month in L’Atitude. Introducing it, Liam Campbell told us we were in for a treat, “an outstanding wine”. And this single vineyard wine is certainly a Gamay gem. 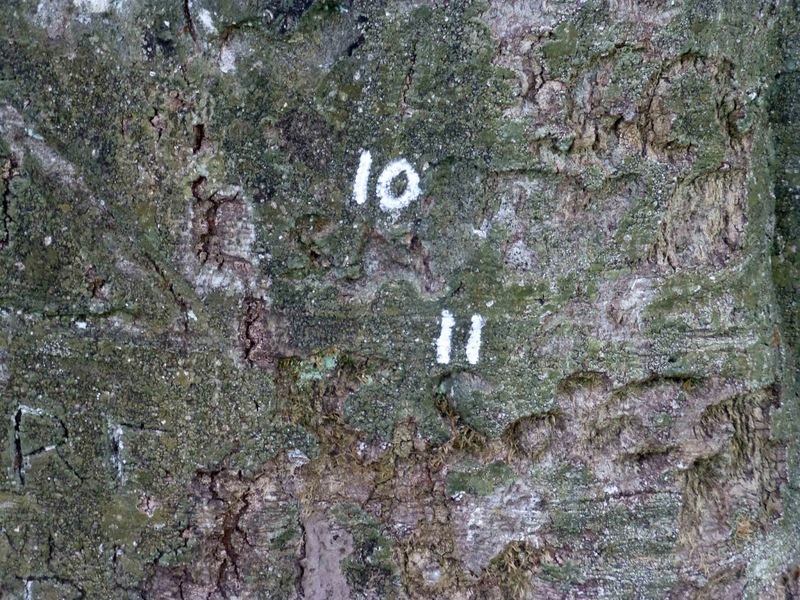 The fact that the vines are grown on “one of the best sites of the entire Beaujolais region”, on an extinct volcano, plus the use of minimum intervention (the use of oak is minimal), makes this a rather unique expression of the Gamay. Many of us were introduced to Beaujolais through the much marketed Nouveau. Decades ago now, I remember seeing one half of the local Roches Stores (now Debenhams) front window absolutely packed with colourful bottles in November. And the hype was inescapable with all kinds of contrived races set up to be first with the Nouveau in Cork or Ireland. And that Nouveau is is still going strong all around the world. So too is the region itself, though it might not have the gravitas of Bordeaux or neighbouring Burgundy. There is a continuity of quality here, almost a guarantee of it if you move up a step or two to the Villages or to one of the ten crus. Colour is ruby and the aromas, not very intense, are of strawberries and raspberries. On the harmonious palate, you meet the expected fruits, fine tannins, the typical acidity (good for food) and a decent finish. 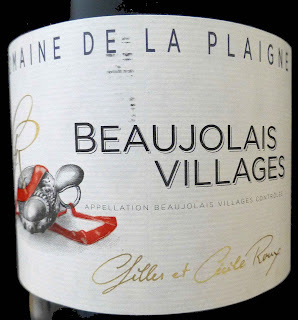 At a recent masterclass in Cork, Liam Campbell said that Villages may be better value than the basic Beaujolais. This perfectly balanced bottle is the proof and Highly Recommended! It is produced from old vines (up to 85 years old) and is hand-harvested. I came across some sediment, so decanting is advised. 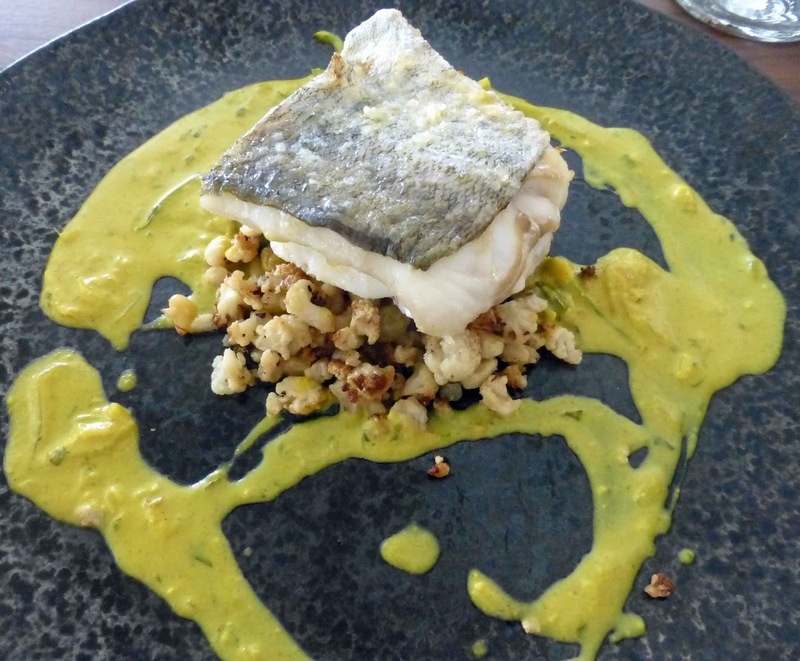 Liam also mentioned that low tannin wines may be served at lower temperatures, between 13 and 15 degrees, and his favourite pairing is with tuna steak. The producers recommend “the cuisine of spring and summer”, listing white and red meats, charcuterie and cheese. Over to you! Gorgeous carmine colour catches the eye and red fruits lead the aromas, quite beguiling overall. The harmonious palate features red fruits mainly in a delightful balance of fruit and acidity, gentle tannins too, elegant and silky all the way to a superb finish. Highly Recommended. Fleurie is one of the ten Beaujolais crus and this is made from hillside vineyards of old pink granite and is hand-harvested. They recommend trying it with white and red meats, cheese, even chocolate desserts. Brouilly is the largest and most southerly of the Beaujolais crus and this bottle, from plots located at the heart of the appellation, has more going for it on all counts, except perhaps for acidity, than the Fleurie. If I had to pick one of the three, this would be it. But no problem with either of the other two. It has more to offer in colour, aroma and is better on the palate with a longer finish. It will suit those who like a little more presence in the mouth. Colour is an intense ruby and then come big fruit aromas (berries and plums), vibrant fruit flavours, a hint of minerality and good finish. This elegant medium bodied wine, with rounded tannins, is Highly Recommended. 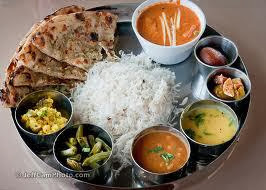 Serve, they say, at 14-16 degrees with roasted meats in sauce, poultry, and cheeses. I noticed some sediment, so do decant. 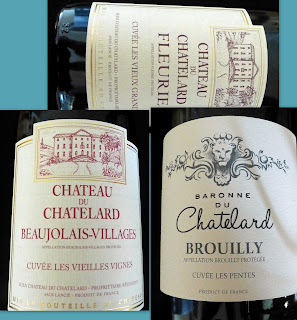 Tomorrow, watch out for another three from Beaujolais, including two crus. The Big Grill Festival. International BBQ at Herbert Park. Celebrate the age-old art of cooking with smoke and fire at the country's biggest International BBQ event, 'The Big Grill Festival', which has its 3rd outing this summer in Herbert Park, Ballsbridge, Dublin 4, from the 11-14 August 2016. This event has almost doubled in size year on year. 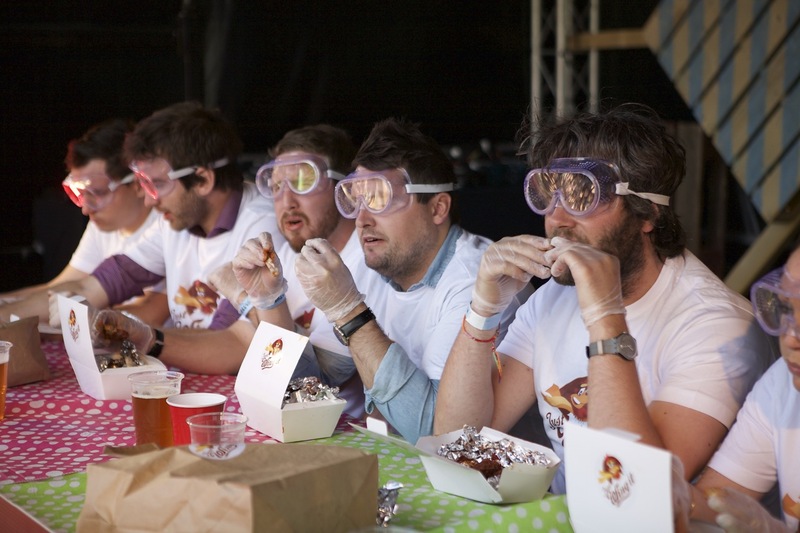 It will feature famous Pitmasters from all over the world, mastering flame and fire to create a multitude of dishes using different BBQ techniques and flavours, for an estimated 20,000 visitors. This is live fire cooking at its finest with clean charcoal and wood only; no gas or electricity in sight. 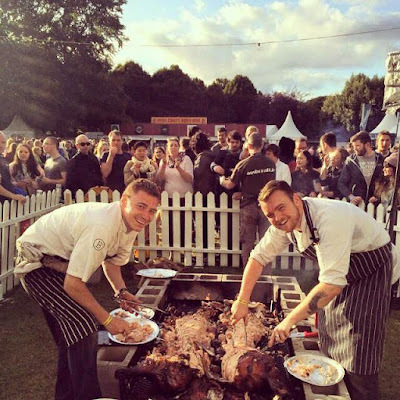 Chefs will illustrate the differences (and similarities) between Asado (South American), Mediterranean, German, Asian, Irish and Southern USA style low ‘n’ slow BBQ methods for guests to savour. Expect whole hogs, lamb on spits, flying chickens, goat, wild Irish game, Southern Style ribs, Asian skewered meats, Brazilian steaks and much much more. Headline chefs include Neil Rankin (Smokehouse Restaurant, London), Andre Lima de Luca (Brazil) John Relihan, (Holy Smoke, Cork), Mark O'Brien (Barbecoa, London), 'The First Ladies of Cue' from Hangfire Smokehouse (Wales), Richard Turner (Hawksmoor/Pit Cue, London) along with restaurants Fowl Play, Box Burger (Wicklow), The Pigs Tale (Wexford) and Dublin favourites, Kinara Kitchen, Pitt Bros and Asador. Chefs from Churrascada, Brazil's uber BBQ festival in Sao Paolo, will be joining forces with organiser Andy Noonan's new BBQ venture, Fowl Play, to demonstrate Mallmann-esque cooking techniques that have existed for thousands of years. Head of 'catertainment' will be the renowned and fully spandexed DJ BBQ who will be cooking and compering at the same time. Amateur BBQ enthusiasts can also get a look in by taking part in the 'Pitmaster Competition' with the chance of winning a place to cook in the famous Jack Daniel's BBQ World Championships in Tennessee in October. To enter, fill out the application form on the website. 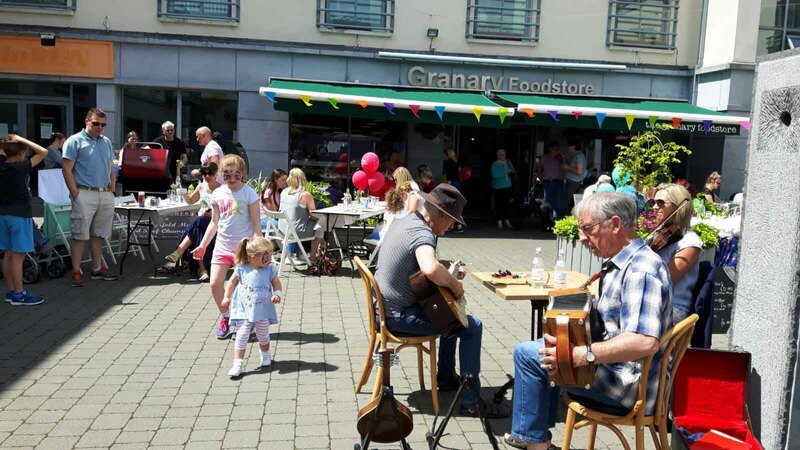 While BBQ takes centre stage the food is matched with an enviable selection of Irish craft beer, cider and spirits with producers and chefs on hand for tastings, pairings, advice and of course a good 'Banter' with Jim Carroll. Live acts and Bodytonic DJ's will play soul, funk, hip hop and party music throughout the weekend, creating a truly international flavour in the heart of leafy D4. 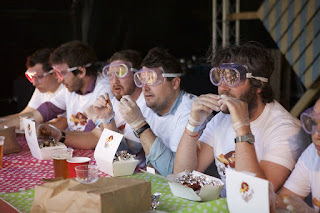 Other activities include eating competitions which feature raw chilies and dangerously hot chicken wings (so hot that participants have to wear goggles!) that are really good fun to watch as are the giant-sized performing 'characters' roaming the park. So hot, contestants have to wear goggles! Children under 12 go free and there is a special area for them on Saturday and Sunday. Activities will include The Great Herbert Park Bug Hunt, and Bushcraft demonstration on how to survive in the wilderness. Along with lots of child-friendly food from a variety of vendors, this makes 'The Big Grill' a great day out for all the family. Tickets from €15. 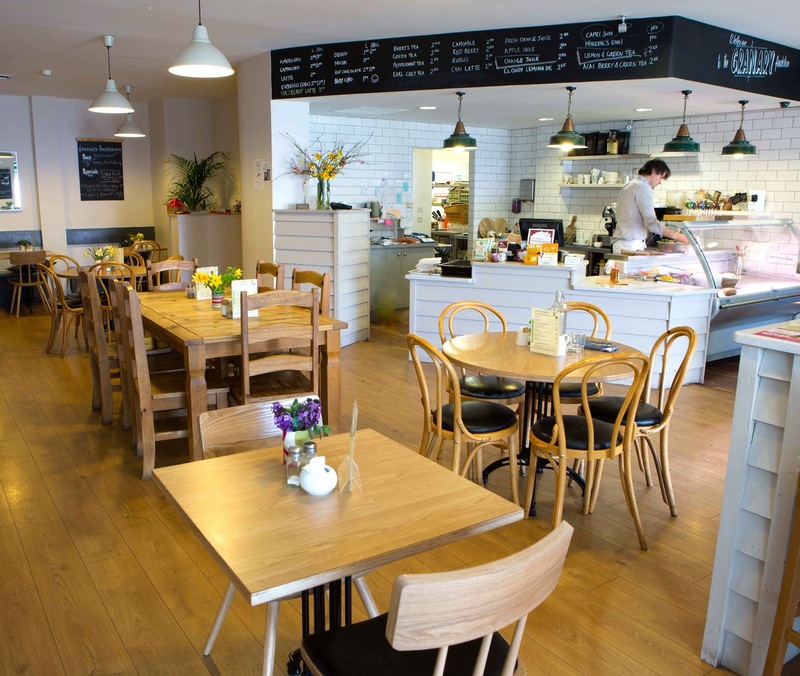 Corporate groups and parties can avail of special rates. Tickets can be purchased at www.biggrillfestival.com. It comes in a small jar but our Taste of the Week packs quite a punch! Bought a jar recently of the Balsamic and enjoyed it very much indeed. 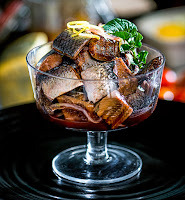 Basically, what you get is Wild Atlantic herring pieces marinated in sweet balsamic vinegar pickle with onions, dill, red sandalwood and winter warming spices. 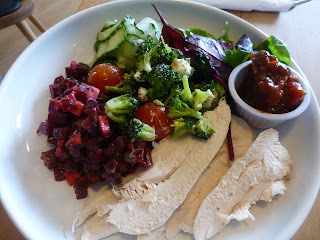 The back garden is full of salads these days, to that’s what we used with the herring. 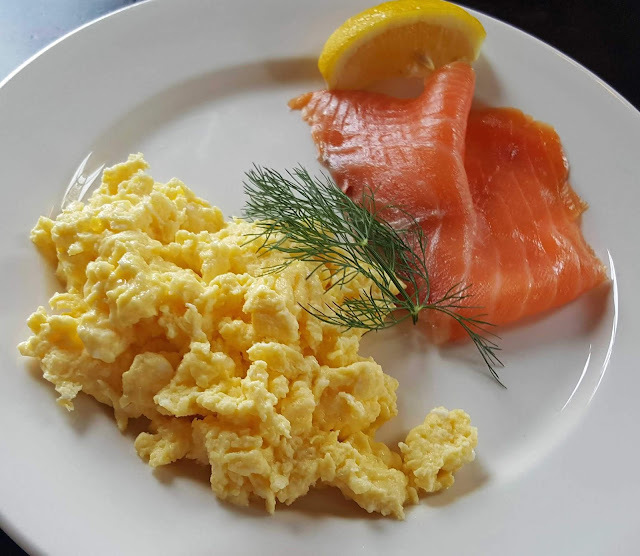 Silver Darlings themselves says they are an excellent partner for soft, mild goat’s cheese or Greek style cheese, perhaps on a crusty bread or in a salad with piquant watercress or rocket. 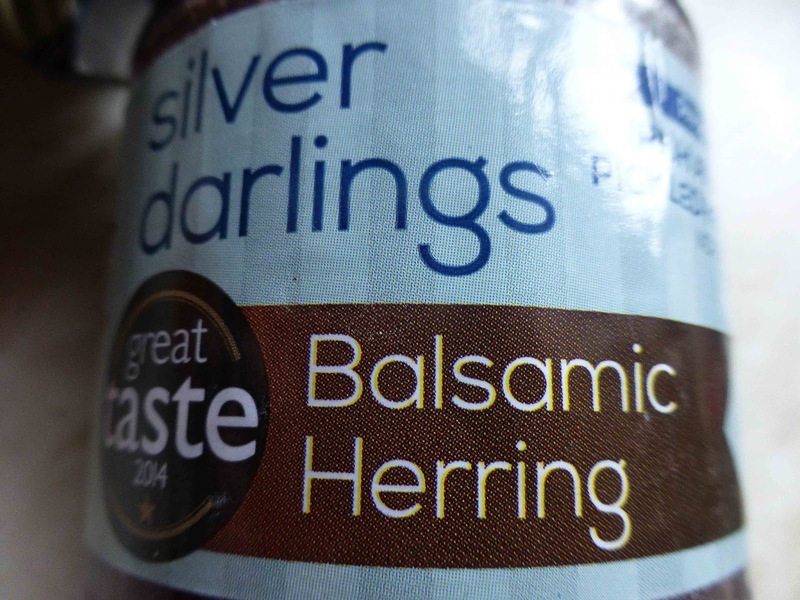 This herring has fantastic rich bronze colour against the white cheese and green leafs. So, over to you. These full of flavour jars are a must try! Silver Darlings (read all about them here) have quite a choice. You can try: Dill Herring, Mustard Herring, Star of the Sea Herring, Pimento Herring, Fennel and Tarragon Herring, plus the Balsamic of course. 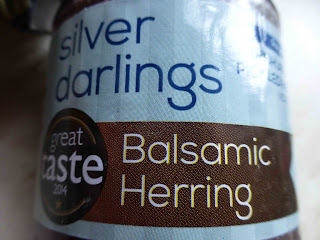 And, a bonus, herring is good for you! The curing process not only preserves the fish feature but it also completely dissolves the notorious herring bones. Don’t keep these in a cupboard as the contents will bubble out. Put them in the fridge. 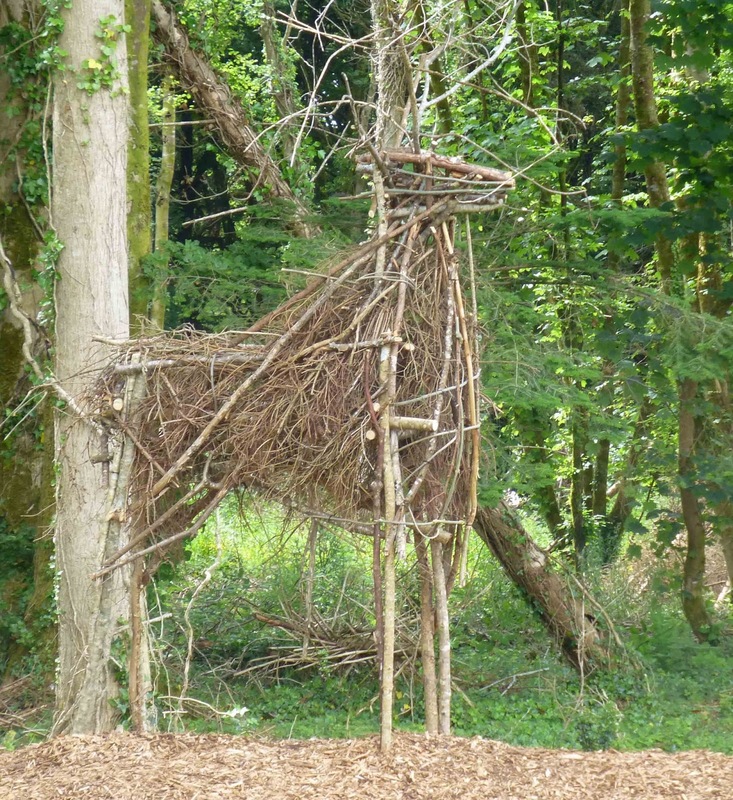 If you're heading from the south to the west or north-west, to the Burren, to Galway, Mayo (Knock for instance), Sligo, or Connemara, or indeed coming in the other direction, then Gort is a good place to stop and refuel and nearby Coole Park a lovely place to stretch those legs. 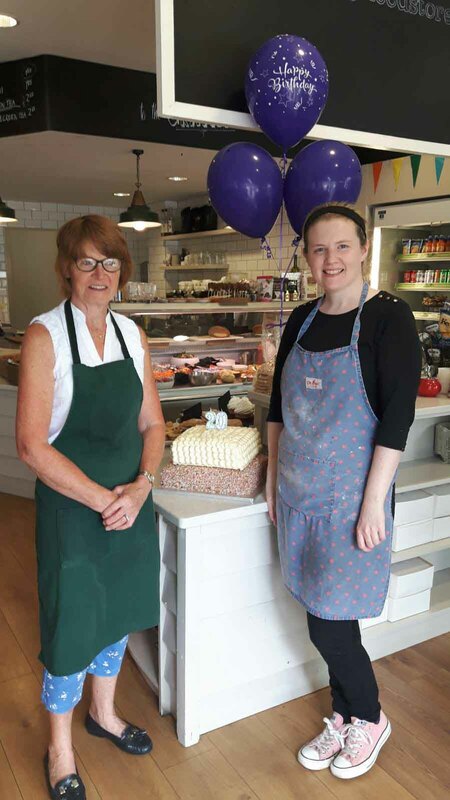 And speaking of re-fueling, why not try the colourful Galley Café in the Square in Gort. You might just get a parking spot outside the door. And you’ll certainly get a warm welcome inside. If you've kids with you, they’ll have about a dozen pizzas to choose from. And if you see them heading to the toilets more than usual, relax as they have discovered the fish tank built into the floor! You'll probably be taking a look at at the original art on the wall - the exhibition changes every few weeks. But you've come here for the food - they do lunch and dinner but note they are closed Mondays and Tuesdays. We were there for lunch recently, on our way back to Cork from Connemara, and can heartily recommend the lively two room café. 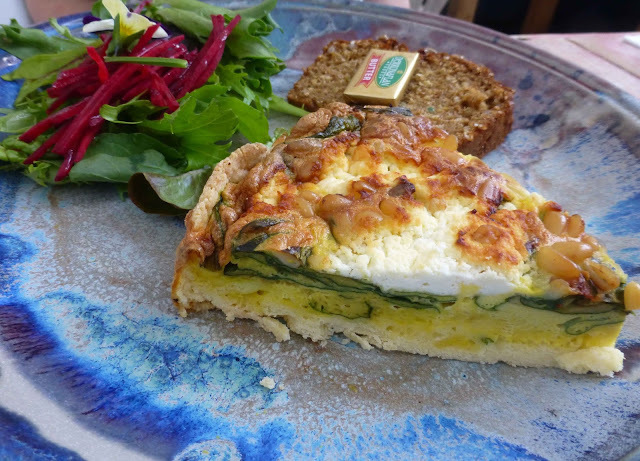 CL picked the quiche which featured the well known, well loved, St Tola cheese from Clare in a delicious quiche (€9.00) with spinach and pine-nuts, organic salad and pumpkin seed bread. 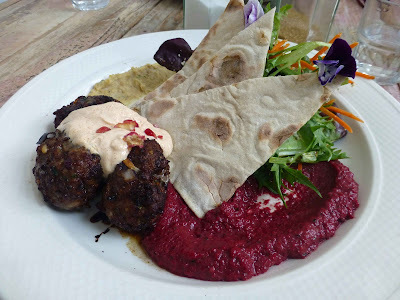 My choice was the Middle Eastern Lamb Mezze (12.00), with cannelloni hummus, beetroot hummus, quinoa, olives, carrots, feta and orange salad and rye bread. Colourful and absolutely gorgeous. The park is free to enter and there is a nice little café there, with an outside area for the summer. We read our way around the Visitor Centre (also free), also looked at some of the videos and artefacts before we headed out for a walk in the park. The walled garden is still standing but not, alas, the house. It was donated to the state in the 1920s but was allowed fall into ruin before being demolished. All that remains now is the plinth on which it stood. Highlight of the walled garden is an autograph tree, a copper beech that is engraved with initials of many of the leading figures of the Irish Literary Revival who were personal friends of Lady Gregory including William Butler Yeats, Douglas Hyde, George Bernard Shaw, John Millington Synge and Sean O'Casey. Thanh is in the kitchen preparing our food…. Today’s meal will feature a gelatinous rice-powder ball with burger meat inside. 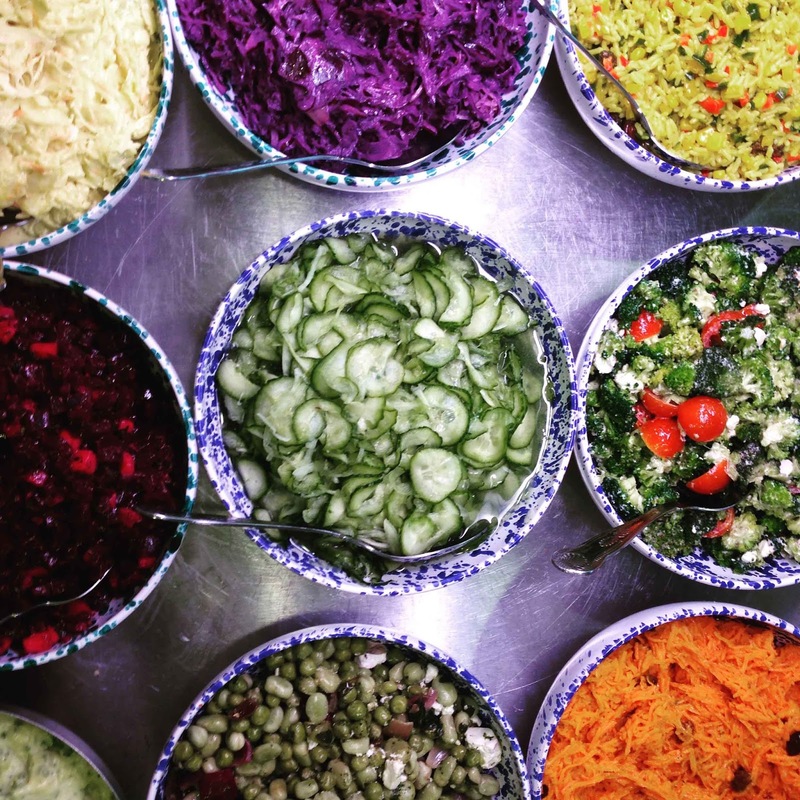 We’ll flavour it with odoriferous fish sauce from a bottle…. It wouldn't be possible to narrate all that happened to this man in the jagged space between 1975 and 1990, but this would be some of it: they broke his eye-lid, his jaw. They shackled him at the ankle and put him into a box about the size of a man's coffin..
Ballycotton: Bites And Boats. Even Goats!